Join Heather Steele and Lauren Lucian as they teach a class at the upcoming Prince William Neighborhood Services’ Neighborhood Conference on March 24, 2018! 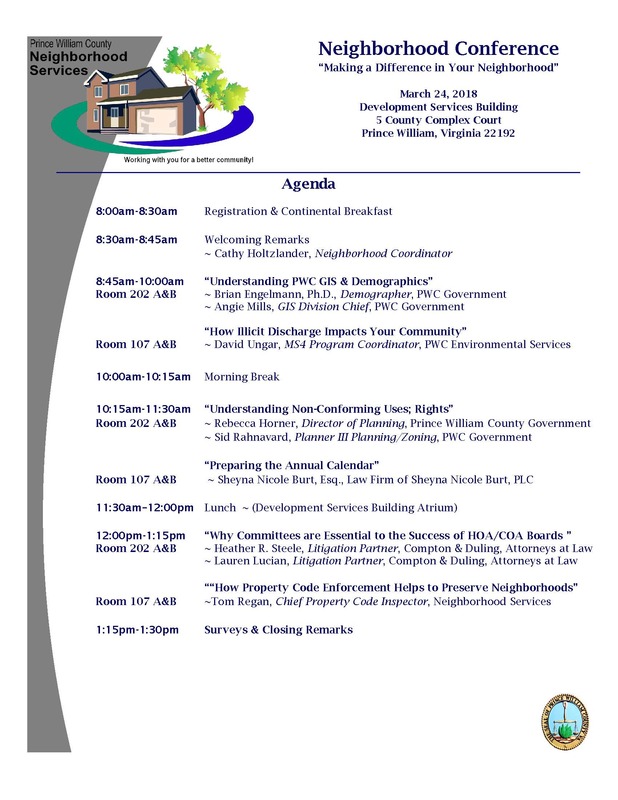 The Conference is an all-day event with multiple seminars regarding neighborhood issues and community association law. Heather and Lauren will be teaching a 12-1 PM segment regarding the importance of committees to HOA and COA Boards. Heather will also have several of her books available for purchase at the event. To sign up for the conference, visit the Neighborhood Services link here. See you there!